I got these Batman, Superman and Marvel Heroes LEGO toys just recently and I wasn’t expecting to have this much fun with them. 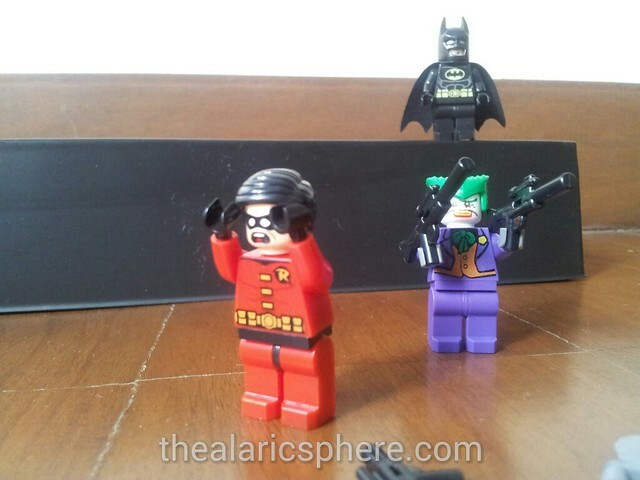 So far I have only opened the Batman, Robin and Joker LEGO figures. I haven’t had the chance to have at the other DC guys like Superman and the other Marvel guys like Hulk and Wolverine. I’m also still thinking of how I can be somewhat creative with the scenes. I have some ideas like doing stop motion maybe. I’d have to get some stand or nice camera to do that though. Then another is maybe doing like a comic strip. The last idea is maybe just going nuts and mash them up with the other One piece and Ninja Turtles toys or something. This must be the LEGO withdrawal syndrome I’m experiencing. 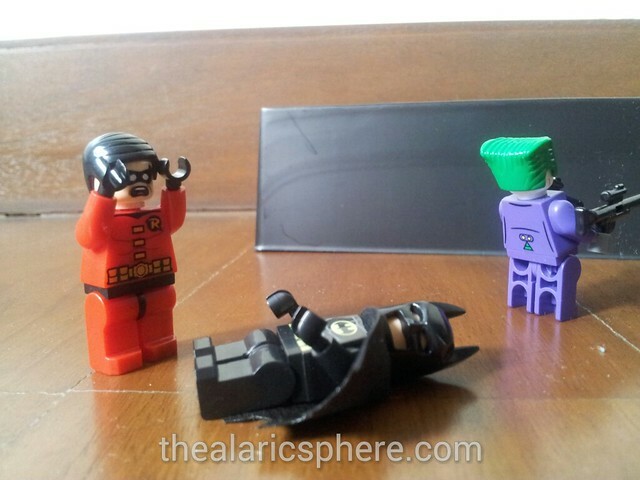 I was too excited with the LEGO movie and getting utterly disappointed after watching it. In this scene, Robin arrives to see Batman shot down by the Joker. He goes totally ape sh*t over the loss of his friend. Joker just laughs and walks away.